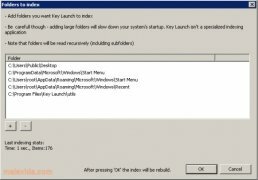 Key Launch is a practical application launcher that makes working with the applications we have installed in our PC a lot easier. 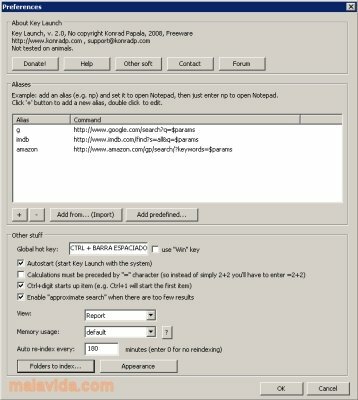 From its small search engine it is possible to input part of the name of the application that we want to launch. With this date the application shows the applications that match it ordered according to the degree of accuracy in the name. 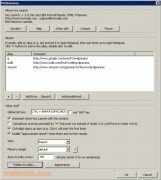 To launch one of the applications, all we will have to do is double click. 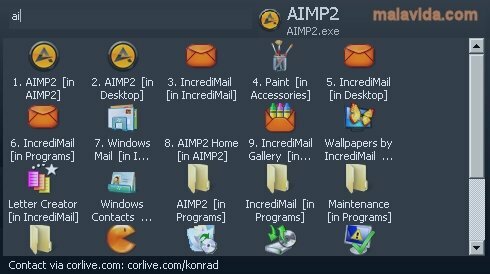 At that moment, Key Launcher will disappear. 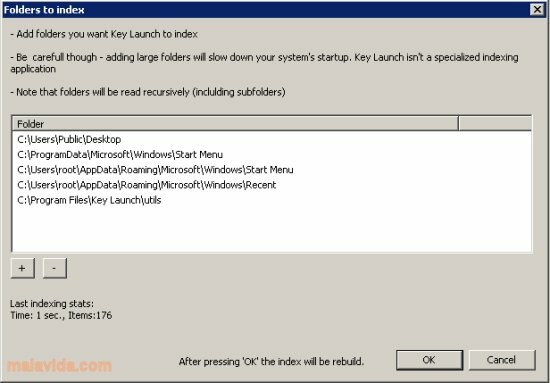 As default Key Launch searches for the applications in the folders where Windows applications are usually installed, but you can expand the search by adding more folders from the applications configuration options. What's more, it includes other interesting options, like for example the possibility to associate an easy to remember alias to each application, make calculations or use special commands from the search area, etc... To make the maximum of this application it is advisable to access the complete help file that is installed together with Key Launch.